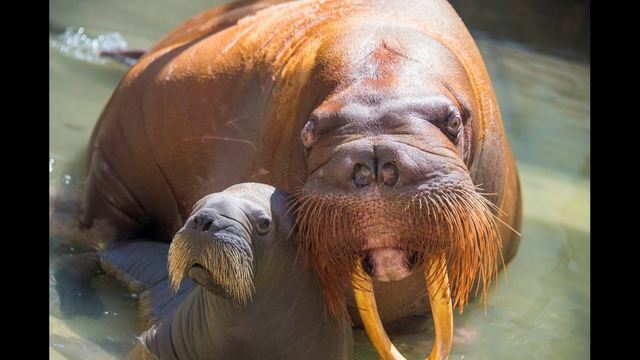 ORLANDO, Fla. - We mustache you a question: Is there anything cuter than a baby walrus? 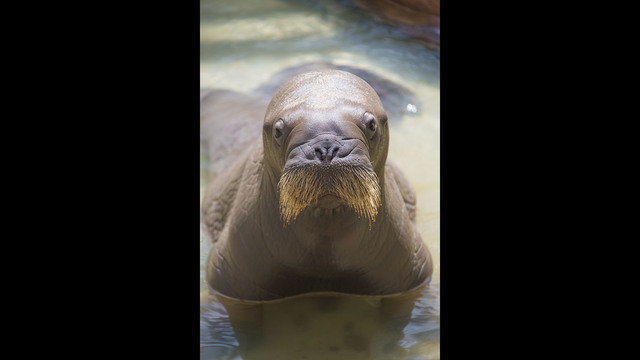 SeaWorld welcomed their first baby walrus in the park's history last week. Kaboodle, 14, gave birth to her first calf just after midnight on June 3. SeaWorld officials say Kaboodle and her calf instantly bonded and continue to stay close. The pair snuggles when they sleep and brings the team a lot of laughs when they vocalize with each other. Although this is the first walrus calf born at SeaWorld, the park's walrus program plays an important role in educating the public about this animal. SeaWorld has provided care to orphaned walruses over the years with permission from the U.S. Fish and Wildlife Services. Walruses are not yet listed as a threatened species, but have been affected due to global climate change. Calves are born with whiskers that help them detect shellfish, which are a huge part of their diet. Both sexes have large tusks they use for defense, cutting ice and getting out of the water. Kaboodle and her calf are not up for display, as they are receiving 24-hour care. There is no estimated time when the public will be able to view them.